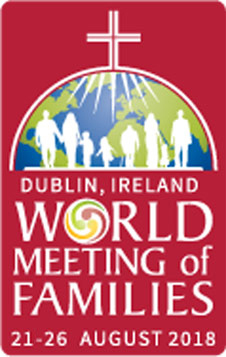 Dublin has been chosen by Pope Francis to host the next World Meeting of Families in August 2018. The World Meeting of Families event was started by Pope Saint John Paul II and is held every three years. This major world event celebrates the Christian vision of family life, which sees the family as the cornerstone of our lives, and the fundamental building block of society and the Church. Families and others from all over the world will gather in Dublin from 21-26 August 2018 to reflect on the Church’s teaching on the family and to participate together in sacred liturgy and other prayer services. The theme chosen by Pope Francis for World Meeting of Families in August 2018 is The Gospel of the Family: Joy for the World.